Kinmon Gakuen offers languages classes for children from 5 to 18 years old. Contact us for a free trial lesson. Both our son (8) and daughter (5) have been enrolled in Kinmon Gakuen for several years. Our kids have tri-lingual background (English/French/Japanese), and we see a perfect fit to the curriculum Kinmon Gakuen offers. Kids are excited to participate in many Japanese cultural and seasonal activities that the school offers… from Mochi-tsuki (rice cake pounding) & New Year resolution using brush (Kaki-zome) in Jan, Girls day (Hina-matsuri) in March, Children’s day (Kodomono-hi) in May, Tea ceremony (Ocha-kai), and they also share the same building for after school program activities such as Karate class (Japanese martial arts). 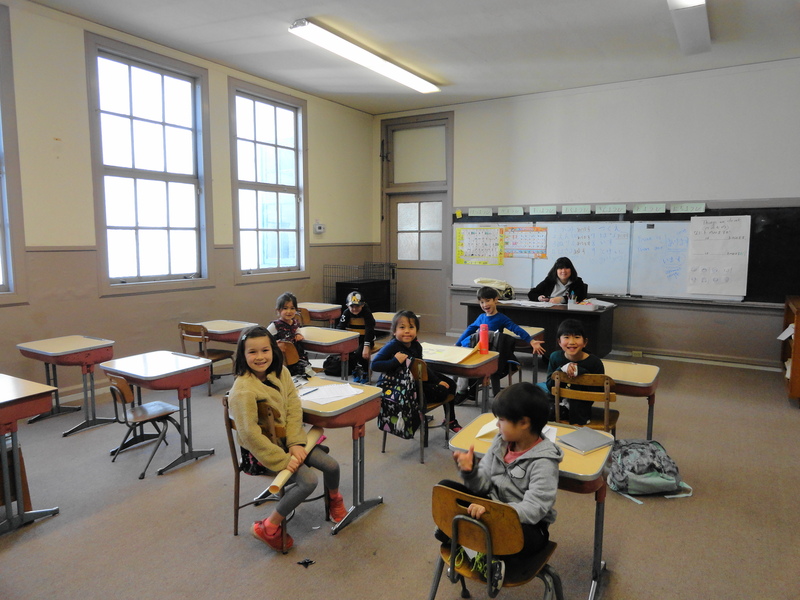 Teachers and staff are very friendly and provide a sense of community based in Japan Town. We highly recommend Kinmon Gakuen! My son is high school student, and started studying at Kinmon 3 years ago. He is fast learner and I know it is also owe to the school, teachers and quality lessons. The high school takes the hours of study at Kinmon as a credit of forgin language. After graduating from high school, we are thinking him to transfer to the adult lesson at Kinmon. When my son showed his interests learning Japanese, I took him to Kinmon to have a trial lesson. Since then, he has been enjoying going to Kinmon every Saturday. Caring staff, excellent teachers, and lots of fun cultural activities. Class room and parents’ lounge have been upgraded. Very friendly atmosphere. I hope, when my son grows up, he will take me around Japan using Japanese language that he learns at Kinmon.